ZA is truly into the ultra high-end and most assuredly loves every minute of it. He has some amazing gear and the sounds it produces are equally amazing..!! ZA: When I was about 4 or 5 my father and I would listen to bands and musicians on his record player on weekends. We often went to Kent Street in Sydney and bought vinyl albums at an international record store. Back home we listened to the great bands of the time: Glenn Miller, etc. the Rock and Roll scene: Buddy Holly and his contemporaries as well as Frank Sinatra and his contemporaries both male and female as well as European singers and bands. They were fabulous times. I enjoyed the performances enormously. ZA: No it was much later. I enjoyed music and performances no matter what I listened to: Elvis, The Beatles, Santana, Jobim, Pink Floyd and so on. Classical did not engage me that much. When I was at University I was exposed to Direct Cut albums such as Lincoln Mayorga and His Distinguished Colleagues. This was on really fancy equipment at the time. The sound was astounding. This was the breakthrough moment. Suddenly detail, resolution, dynamics and the sense of being there or rather the involvement and the feeling that was evoked was overwhelming. I was hooked. Not with equipment but the performances. The immediacy with direct cuts was captivating. I then began the quest to obtain the best possible music or musical experience. Equipment was incidental although it may not seem so. All equipment produces signal degradation. The less degradation in the signal path the more authentic it is to the recording source - be it analogue or digital. There is no such thing as a component which elevates a system beyond what the recorded source has produced. 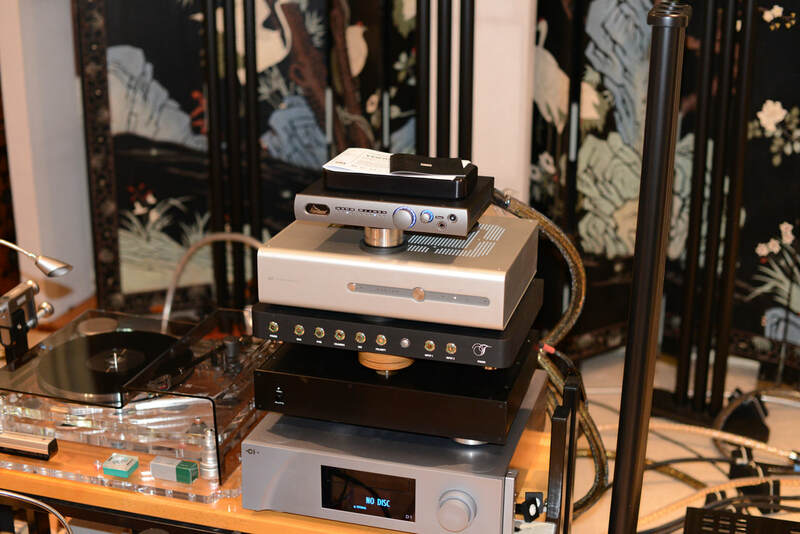 A great component or cable degrades the signal less. ZA: I have 3 systems. The 1st is in the very large and open living area where music is for anyone. The 2nd is my music room. A sanctum. Very private. I listen in the nearfield. Everything in that room is just right. 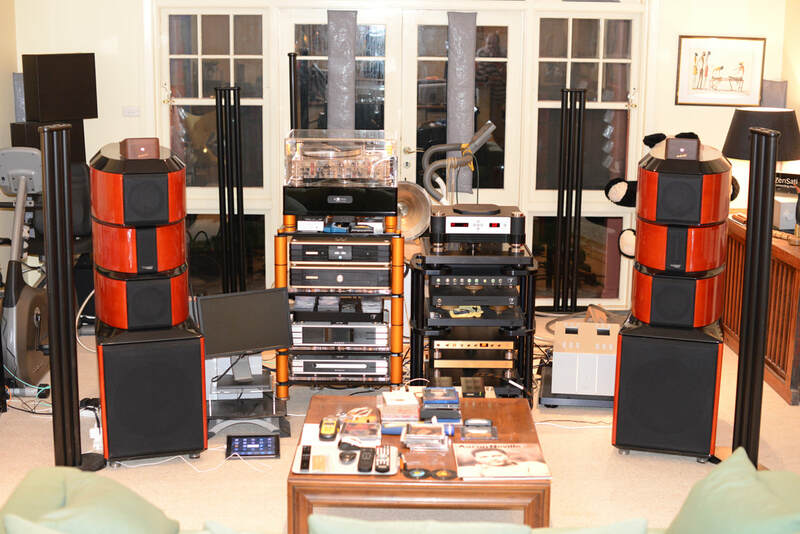 The Technical Brain Pre and Power amplification and ZenSati sILENzIO cabling in that room produces renditions of the performances that are unparalleled. I am literally amidst the musicians and artists. 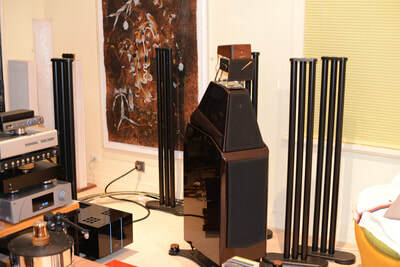 The 3rd room is one with ultra-high end components: Wadax including the Atlantis series, Trinity including the Golden Reference series, Robert Koda, JMF Universal Transport, Vertere Absolute Reference Turntable, Tonearm and Stage 1 vibration reduction system and of course the wonderful Technical Brain Amplification. Cabling is from Trinity, Black Cat Indigo Series, Vertere Pulse HB and ZenSati. The room needs a little tweaking. It is a very large open area with only 3 effective walls, one of them all glass. The Trinnov Amethyst which will arrive in a week or two will optimise this. ZA: There are many components I would not sell. 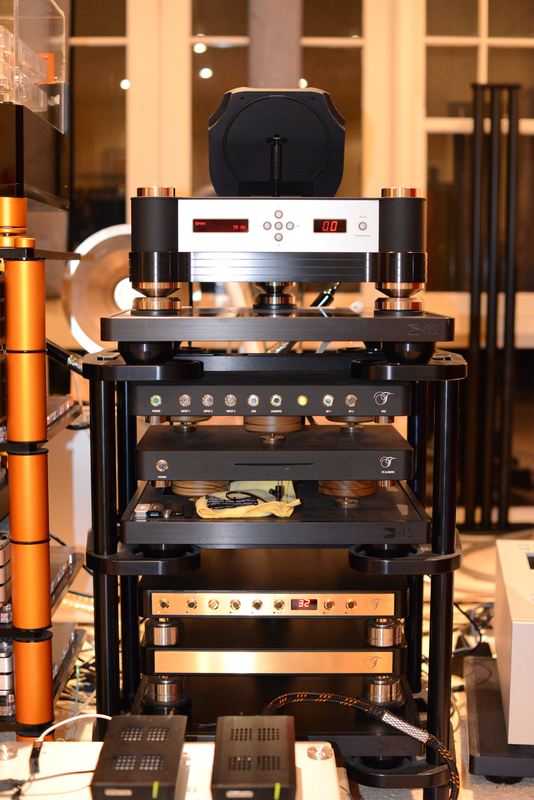 My Technical Brain Pre and Power amplification, Wadax Atlantis DAC, Trinity Golden Reference Preamplifier, Vertere RG1 Turntable RG1 Tonearm and the Stage 1 VR system and its stands, Van Den Hul torsion field devices, ZenSati sILENzIO cables and David Astley’s bespoke line balancers. ZA: The Stenheim Grand Alumine Reference Speakers. Natural, relaxed, detailed and wonderful generally. With the sILENzIO cables and power cords. ZA: Absolutely. This is fundamental. No point testing with special tracks when you only listen for pleasure at home. There is enough variety in the everyday tracks to test any parameter of any system. ZA: Male and female vocals, modern instrumentals, jazz, rock, very little classical or operas, anything with outstanding performances. Arvo Part’s Alina. It is exquisite in its simplicity. Jocelyn Smith Live in Berlin. Lincoln Mayorga and Distinguished Colleagues Volume 3 (for both sentimental reasons and the outstanding dynamic performances). ZA: Highly resolving, immediate, dynamic, involving with wonderful sustain and yet relaxing because it is all there. You are there inside the performance. I often find it more enjoyable than many live performances. ZA: Music is an absolute necessity for me. I virtually experience withdrawal symptoms without it. Listening is so very emotional and enticing. It rebalances. A huge discount mentality both by customers and some retailers/distributors. The very little time given to audition and explore brands from smaller technologically more advanced designs and circuitry from brilliant designers producing extraordinary and superior results. New designs and technology implementation are often very expensive because of the small number of products that are produced. They are usually, however, superior performers. I see many one-off expensive known brand products sold by dealers or distributors, often hugely discounted, either in a home or in a showroom that are never to be seen anywhere else. Many products are foolishly bought on price alone. The wrong product bought at any discount is still a very expensive product. The high-end is going to Asia and Eastern Europe. There is newfound wealth there and an appreciation of new product designs and new concepts. Customers are then rewarded by superior performance. Products are not discounted (or only very small token discounts are given) consequently the product is not devalued since product’s value is only what it costs to own it and not its retail price. In Australia, customers then wonder why the trade-in values of these discounted products are so low. ZA: Vinyl is having a revival and this is wonderful. 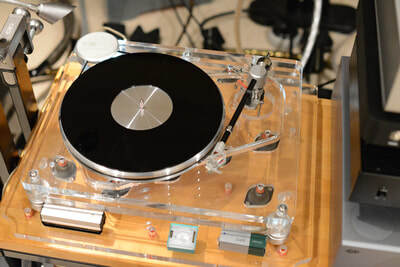 A better turntable, tonearm and cartridge will produce better results. What worries me is what is happening to digital. 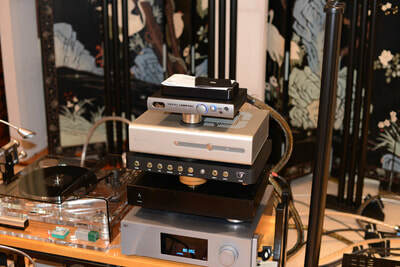 There is so much fiddling around with up-sampling, up-converting, DSD, PCM. Hardware parameters have a huge effect on performance: grounding, clocking, thermal design, mechanical construction, choice of computing elements, isolation, etc. and most importantly power supply and the analogue output. Software parameters are important: the data path that music tracks follow play a key role. The aim is to deliver an audio track which is untouched (in its native format), bit accurate and to deliver it cleanly (not up-sampled or up-converted or modified etc.) and as simply as possible. I find it amazing how much more performance is possible from a CD (44.1/16 bit). A really well produced product such as the Wadax Atlantis, JMF and CH Precision D1 transport, for example extracts more information from a CD than I have ever heard from a high-res file. It is possibly the result of much less noise than in any storage device/computer playback. I feel we need to simplify digital by adhering to the parameters I mentioned earlier and stop tampering for the sake of tampering. Most recordings are now captured digitally and then remastered for digital or analogue production. Music is to be enjoyed whether from an analogue or digital source.